Today I’m continuing with my streak of conversational indie author interviews. My latest victim… ahem, guest, I mean, is LGBTQ Urban Fantasy author, Calvin Westbrook. I sat down with Calvin to discuss his books, his love of the supernatural, and finally reveal to the world exactly how it is genies are allowed to grant wishes. Christina McMullen: Hi, Calvin! Thanks for taking the time to chat with me. Let's go ahead and get the easy stuff out of the way: tell us a little about yourself and what you do. Calvin Westbrook: Hi Christina, It is my pleasure to talk to a fellow author. My name is Calvin Westbrook, and I mostly write supernatural urban fantasy with hints of homosexual romance. Hanging Out with Missy Sheldrake: Author, Illustrator, & Free Book Giver Outer! Hello Everyone! Welcome to the last day of Indie Author Spotlight 2017. This time, we've saved the sparkliest for last. Missy Sheldrake is the author and illustrator of the Keepers of the Wellsprings fantasy series. 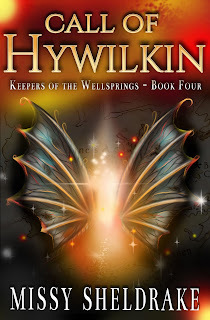 Her latest book, Call of Hywilkin, is out today and is the fourth in the five(?) book series (more on that question mark below). In honor of her new release, Missy is being incredibly generous and giving away the first three books in her series for free. 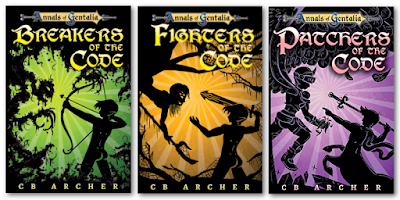 I sat down with Missy earlier in the week and talked about this series, writer life in general, and fifty foot tall rainbow fairies. Sound interesting? Well read on! Christina McMullen:Hi Missy! Thanks for subjecting yourself to my interview process. Let’s start by getting all of the generic information out of the way. Tell us who you are, what you do, and why today is so gosh darn important.